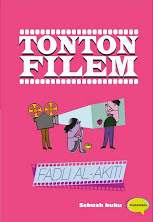 TONTONFILEM: Korang Bodoh Kalau Korang Tak Pegi Tonton: Inilah Baru Filem! Korang Bodoh Kalau Korang Tak Pegi Tonton: Inilah Baru Filem! A LONG, LONG TIME AGO in a galaxy far, far away, there was a planet where the apes have risen up to demand their rights. But somewhere on that planet is a space called Malaysia where the humans are treated like aliens and the aliens treated even worse. In this space, no one can hear you scream. For one week in December, by watching amazing movies and having mindshifting discussions with jedis of human rights, we shall find out how to invade these outer spaces -- news room, schools, wall street, polling booth, court, conscience -- and turn them into human-friendly spaces. Let's boldly go where no human rights have gone before. 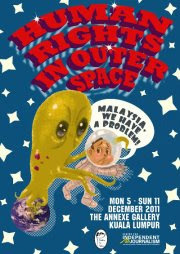 Entry by registration: Please email cijspace@gmail.com with heading "Outer Space". Give your name, how many you are bringing, and title of film(s). In this film, a journalist exposes the unjustified basis for her government's act of war against another country. Her report outs a covert intelligence operative, which is a breach of national security. Will she reveal her source or risk going to jail? Sounds familiar? It's not quite Malaysia, but we have an Official Secrets Act, which classifies most public-interest information as official secrets, and journalists are intimidated from reporting truth to power. What are the rights of journalists, their sources and the people? What is at stake when those rights are lost? Timmy Armstrong: "You're not supposed to tattle." Rachel Armstrong: "You're not supposed to have to put up with bullies, either." Gie was an Indonesian history student turned political revolutionary in the 60s. He despaired at his country, fought for justice, fell in love, witnessed a massacre, lost friends and fell out of love. Based on the real-life journal of Soe Hok Gie, played by the beautiful Nicholas Saputra, this film examines the role of the young in challenging a dictatorial regime. In Malaysia, there are rumours of the dismantling of the Universities & University Colleges Act. Will Malaysian students be allowed to be national heroes again? Soe Hok Gie: "The history of the world is one of oppression. The question is, can there be history without oppression or without sadness and betrayal? It's like, when studying history, the only thing we find is betrayal. It is there, in each and every part of our life, and yet we can do nothing about it." Who were the key players responsible for the 2008 global financial crisis? This Oscar-winning documentary is a damning revelation of how the financial sector takes the world hostage, destroy millions of lives and gets rewarded for it. Implicating everyone from businessmen to politicians to economic academics, this is a portrait of a rogue industry without a conscience. As the Occupy Wall Street movement is happening now, we must ask: what else can the 99 percent of the population, even here in Malaysia, do beside feeling angry and helpless? Andrew Sheng: "Why should a financial engineer be paid four times to 100 times more than a real engineer? A real engineer build bridges. A financial engineer build dreams. And, you know, when those dreams turn out to be nightmares, other people pay for it." Beginning with an uprising that overthrew a Bolivian president, this documentary flashes back a year ago to show us how he got into power: with the help of the US political consultants that got Bill Clinton into power. The team even arranged many focus group surveys so the presidential candidate can hear what the people wants. But is he hearing them? Or is this another way to manipulate their wants? Malaysians have gone to the streets over our electoral process, but perhaps we should also pay attention to the problematic nature of electoral campaigns. Consultant: "We don't have to change the way people perceive the country and the economy. What we have to change is what is at stake in the elections." In an Iranian village, a husband looking for an easy way to get rid of his wife accuses her of adultery. The burden is upon her to prove her innocence. If she cannot, the sentence is death by stoning. Based on a true story account, the film depicts the stoning in a most horrifying sequence and confronts us with the the guilt of watching and doing nothing about it. When the rights of the innocent are not protected, on whose hands are their blood? Ebrahim: When a man accuses his wife, she must prove her innocence. That is the law. On the other hand, if a wife accuses her husband, she must prove his guilt. Do you understand? Zahra: Yes, it's clear, all women are guilty, and all men are innocent. Correct. Nisha (Mak Nyah Programme, PT Foundation). Winner of 64 international awards, this powerful psychological thriller shows us what it was like in East Germany before the fall of the Berlin wall. In the film, circumstances are forcing both the patriotic playwright who is under surveillance and the Stassi officer spying on him to find their inner conscience. But can their conscience still guide them when it is being controlled? Is the goal of limiting our human rights in the external spaces ultimately an attempt to limit us in the inner space of our minds? How do we resist the control? Georg Dreyman: "The state office for statistics on Hans-Beimler street counts everything; knows everything: how many pairs of shoes I buy a year: 2.3, how many books I read a year: 3.2 and how many students graduate with perfect marks: 6,347. But there's one statistic that isn't collected there, perhaps because such numbers cause even paper-pushers pain: and that is the suicide rate." 2nd Floor, Central Market Annexe (Behind Central Market), KL. huhu. Nice one Fadz. Thx for the info. The live of others tu memang sedap. Gie, sebuah filem Indonesia yang perlu ditonton. Fadz, filem ini banyak simbolismenya... Dari segi lakonan dan geraklaku pelakon terutama sekali. sejak bila ko participate dgn sis nie? akitiano, jgn jadi jumud.. pegi menonton bukan bermakna menyokong sis. Bukan jadi jumud...tapi sedang memahami pemikiran hang yang aritu Sebab ada journalist Indon buat hal atau ada sebahagian org indon buat hal dengar macam tak nak jejak bumi Indon...Kenapa skrg, nak pi menonton bagi program SIS tak boleh pukul rata pulak?? I tak de masalah nak pi menonton atau tidak...tapi apa makna disebalik dari Program SIS ni? 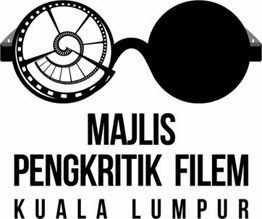 filemfilem merdeka ke ni, mat? itu berkenaan dgn maruah, kerana tidak sekali pun kita dgr para penyokong dan wartawan Indo (jgn guna Indon, itu degrading!) yg memberi mohon maaf kepada jurulatih bola sepak kita, kepada penyokong dan kepada pemain. Ia menyakitkan. Jadi buat apa aku layan dgn memberi mereka wang dgn hasil pelancongan aku? Itulah poin aku..
standard di sini tak sama. Filem2 yg ditayangkan, kalaulah PAS yg tayang, atau UMNO, atau mana2 kumpulan pun, aku tetap akan pegi tonton kerana aku pergi nak tonton filem, bukan nak dgr dakyah wanita bertudung dok angkat slogan "hak sama" dan "hak lesbian"..
dah rasa pandai ke setelah pegi program sis? dah tonton dua (yg lain2 pernah tonton pun, bukan dianjur oleh sesapa tapi tonton sendiri), The Stoning of Soraya M dan The Life of Others.. bukan jadi pandai, tapi "terisi"..
debat2 dan kata2 liberal selepas sessi tu boleh di"tolak" secara minda.. bukannya masalah pun..
serius, kalian jgnlah takut benor dgn golongan liberal ni, mereka bukan ada kusta pun dan mereka takkan ganggu pun aqidah aku, insya-Allah. aku dapat rasa macam ada aura 'queer' dalam jiwa ko! apalah2 korang, sedapkan menyemai fitnah..
menarik, jadi sekrg, apa2 kena mengena dgn anexxe ni kira "deviant" jadi sesapa pergi ni masuk neraka lah ek? ok..
Rilexlah Bro...apa fitnah2 ni..tak baik tau...fitnah tu dosa besar..
tgk fadz mmg berahi, apatah lagi baca teksnya.